If you decide to sell your home, then you should make sure that your property is ready for it. 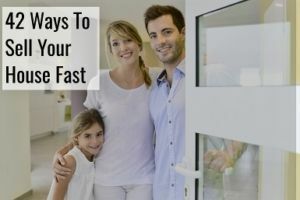 As you know, the goal of every seller is to sell his or her property fast and make good money out of it, and we have even made a guide on how to sell your houise fast. Simply put, you want to sell your home quickly and for top dollar. The key to selling your house fast is to make it more irresistible to homebuyers. It requires careful planning and thorough preparation. All the time and effort that you will put in getting your home ready for sale can certainly make a huge difference. If you do it the right way, then it would not take too long before your property will get sold. In fact, it can even lead to a price war, ensuring that you get the most amount of money out of the sale. If this is the first time you are selling something in the real estate market, then you probably have no idea what to expect in this kind of venture. Most first timers would choose to hire a real estate agent, which is actually a good decision. Once you have found a reliable agent and established a working relationship with him or her, then your home will now be ready to be put in the market and marketed to any potential buyer. As soon as a buyer will make an offer on your home, you can accept the offer, counter it or reject it entirely. As a seller, you will have to approve and sign the escrow instructions. You will then grant the deed and establish other documents in order to complete the transaction. Depending on the terms stated on the agreement when you sell your home, inspections might need to be done and final reports to the property will have to be prepared. Both you and the buyer will have to fulfill any of the remaining conditions stated on the contract, including the escrow instructions and any pay off demands or beneficiary statement will have to be approved. Finally, any final changes will have to be approved as well as any of the remaining conditions that are specified in the contract, including the pay off demands and beneficiary statements. It should be noted that the situation above is merely for general information purposes. When it comes to selling property, the situation will greatly vary. It is best to consult a real estate agent regarding your specific situation. As with everything, first impressions really matter when it comes to selling your home. So before you put it in the real estate market, you need to make sure that it is cleaned well. Check your house and look at it from a buyer’s perspective. 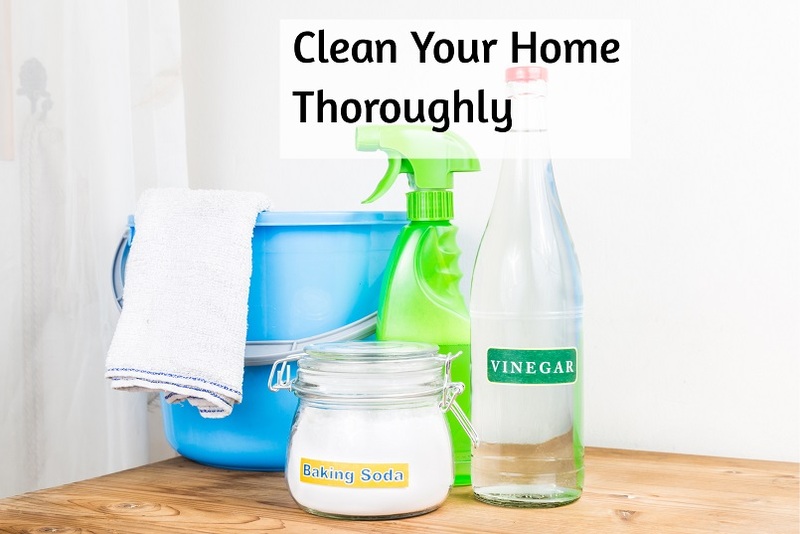 Some of the general steps to cleaning your house include getting rid of clutter, dusting off, combatting the molds and mildew, and perhaps repainting the walls as well as redecorating the home interiors. Your goal is to make your home look presentable not only in the outside, but also in the inside as well. As mentioned, your goal in cleaning your house is to make it look as attractive as possible, so you will be able to attract potential buyers when you sell your home. The best way to spruce up your home is to thoroughly clean it. Get rid of the clutter – a lot of potential buyers might not be able to see past the clutter and dirt. If your house is filled with so many things, they will easily assume that your house may just be too small for them to move in. Moreover, if there is lots of clutter in your house, this can pose danger and this will sure to discourage any potential buyers. Anyone could trip over the items that are scattered all over the stairs and this will send a bad impression of your house. A clean and clutter-free surrounding is definitely more attractive than untidy and grimy one. Cleaning up your house – focus on those areas in your house where potential buyers might be interested in looking, such as the kitchen, diving room, living room and bathroom. Check each and every single room in your house since your potential buyer will easily notice those things that catch the eye first. Make that area as the starting point for your general cleaning. Put more focus on the bathrooms and kitchen. Make sure you are using products that are well suitable to the surfaces that you are cleaning. Abrasive cleaners are able to provide an extra cleaning power, which is ideal for hard to remove food particles, including the grease residue. But you need to be careful with using these, as they might be too harsh for those surfaces that could get scratched easily, like the solid surface or laminate countertops. Overall, gel and liquid cleaners are less abrasive unlike the powders. Spray cleaners can be used in cleaning small areas in your house like in the countertops. Cleaning powders mixed with a small amount of water can be used to efficiently clean larger areas in your house, like in the flooring and walls. There are instances when floors could get cloudy as a result of the cleaning residue and might make them look dirty when they are in fact clean. In order to prevent this, rinse the area with a no-rinse product after every cleaning. Remove all mildew and molds – mildew and molds can easily make your house look very untidy, especially in the bathroom area. With all the publicity that concerns the illnesses that mold infestation can cause, prospective homebuyers are very concerned about the presence of mildew and molds. You can make use of cleaners or bleach in removing all the mildew stains and molds at your shower curtains, shower doors, including the grout in between the tiles. Non-streak cleaning products can also be used in cleaning, such as the glass multi-surface cleaner for the mirrors and doors. Regular routine that includes rinsing your tub after you take a bath and using a squeegee on the shower walls after each use could help to keep your shower and bathroom to look neat and clean. Aside from the steps above, make sure to vacuum your carpets, dust off your curtains and drapes and wash your windows thoroughly. Apply a dusting product so the dust will get trapped and removed instead of being dispersed into the air. Vacuum your house regularly in long and straight strokes. Consider repainting before you sell your home, both inside and out. 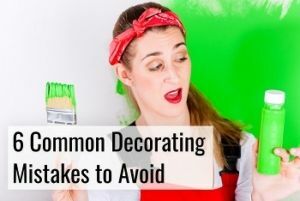 However, if you think that repainting is just out of your budget, then clean off the surfaces carefully in order to remove grime, fingerprints and dust. Newly painted surfaces can be washed easily, however, it is better to test the cleaning solution into an inconspicuous area first using a non-abrasive cleaner. Also, check out this resource on cleaning your home when you’re trying to sell! As mentioned above, one of the first steps to sell your home is to look for a reliable real estate agent, as there are many advantages to using one. This is very important if you want a painless and stress-free real estate transaction. But how do you find the real estate agent to hire? The best way to find a good real estate agent is through referrals. The best agents are still in business since satisfied clients will usually refer them to family, friends, neighbors and coworkers. So check with people around you and find out if they are able to refer to you the real estate agent that they have worked with in the past. Successful agents will make customer satisfaction as their number one priority and will make sure to put their customer’s needs first before their own. You can also go online to look for websites that list down agents near you, although you really cannot be assured of quality when you go this way. The agents that these websites will refer to are those who usually pay the website owners a certain fee in order for them to be listed on the directory. The key is to refer to the list for any potential agents and then you can do a bit of research about these agents to find out if they are really reliable. Attending open houses is also a great way to meet potential real estate agents and interact with them. During these events, you can gather business cards and then make a note of them. You can perhaps join them when they are selling some properties to potential buyers so you will know how they go about their job. Pay close attention to how the real estate agents show the property and how they deal with the homebuyers. Are they polite and professional when answering queries about the property? Are they knowledgeable enough? You can also check with other real estate agents for any referrals. Some agents could refer you to some of their associates, most especially if the service that you will need is not one of the specialties of the agent you are dealing with. In case you didn’t know, some agents only specialize on certain residential re-sales and others work exclusively with homebuilders. There are also other agents who will only sell commercial and investment properties. So do your research well and interview as many real estate agents as possible before you sell your home. If you need help finding the right real estate agent, this might help you. 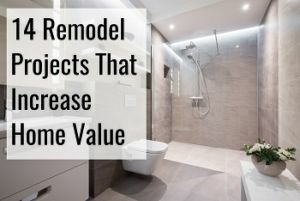 Before you decide to make any repair or improvement on the property you are selling, it would be smart to first weigh in the cost of such improvements against the overall value of your home, right after the upgrades and repairs are completed. If you think that such repair or improvement will not return your investment, then you better not proceed. So how do you identify which areas in your home needs to be repaired or improved? The best thing to do is to inspect your home property and come up with a list of everything that’s already defective and broken. Remember that if the homebuyers will spot any problems in your home or that there are malfunctioning systems, they might end up wondering what else in your home have been neglected. Just to give you an idea, here are some of the most common improvements that you can make before you decide to sell your home property. Patch cracked ceilings and walls and repair any holes. Fix all of the broken HVAC systems, including worn out appliances. Repair any faucets that have leaked. Replace any stained or worn out carpeting. Repaint marred or dark walls with a neutral paint. Fix anything that violates the building code. Replace outdated window coverings and old drapes. Aside from the things stated above, there might be several other things in your home that need repaired. Thus, the best thing that you can do in order to spot any areas in your home that need repair is to conduct a thorough inspection. A home appraisal is a fair estimate of the real or fair market value of a home property. All potential lenders will have to request for an appraisal during the process of a mortgage loan as this will serve as an objective way to assess a home’s fair market value and ensure that the amount of money that’s requested by the borrower is fair enough. The appraisal will also consider certain factors like the recent sales information of similar home properties, location of your property, including its current condition. The process of appraisal is usually done by well-trained professionals who are certified and licensed to determine the home’s market value objectively and fairly without any bias on the state where the property is located. Usually, most of the real estate transactions will give you the opportunity to be able to choose your real estate agent as well as your mortgage lender. However, you won’t be able to choose your appraiser. It is the lender who will choose the appraiser in order to have a level of independence in both the seller and the buyer. In order to minimize the risk of violating the Appraisal Independence Requirements, also known as AIR, most lenders will now hire their appraisers through the appraisal management companies. These are companies that will work with various residential appraisers to cover the more diverse housing market and in order to reduce the risk of any improper influence when you sell your home. 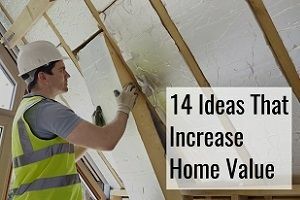 If you are in the process of selling your home, there are actually lots of inexpensive things that you can do in order to improve the appraised value of your home. A couple of dirty dishes in your kitchen sink will not in any way affect the value of your home. However, plaster cracks, soiled carpeting, water-stained walls and persistent odors can possibly affect its appraised value. Therefore, consider patching the walls up and perform other touch up work. Appraisers usually value a home property in the increments of $500, so if there are any repairs that cost more than $500 that you can do, then you should do it. Fix any faucets that are leaking, including cracked ceilings as well as broken windows. Consider the overall curb appeal of your home. Broken garage doors and overgrown landscaping can work against the appraisal of your home, most especially if the value of the home property in your neighborhood has greatly declined. So before any appraisal, you should take time to improve your home exterior, making sure that it is welcoming and will make a good impression, just like any of those beautiful houses you have visited in the past. Be sure to read our guide on how to avoid a low appraisal. Usually, when real estate agents suggest that you stage your home property when you sell your home, they actually refer to the method of decorating your home in such a way that it will be able to showcase your home property’s best assets and impress homebuyers quickly, selling it at the highest price possible. Not all sellers will actually consider staging the home they are selling, so if you will, then you will be at an advantage. Although staging is just optional, it really should not be. 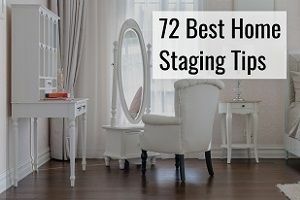 But when you are selling a property that has a very significant financial value, and you have lots of competitors out there selling the same property as yours, then you really should consider staging your property. Check out our extensive guide on staging your home. With the majority of homebuyers now looking for their next house online, the manner in which you market your home property in the Internet is more important than ever. Although coming up with an appealing description of your home property is the key, it is important that you know how to elaborate all of the appealing features of your property, including its location. When you sell your home property, your aim is to grab the homebuyer’s attention and to make your property to stand out from the rest. Here are some tips when it comes to highlighting the selling points of your home. Put the focus on your outside space – whether it is your landscaped balcony or patio, a lot of homebuyers would prefer a house with a beautiful outdoor area that they can call their own. But if you do not have ay of these, then you can perhaps emphasize the nearby parks or shared gardens. Point out your parking space – parking is often on top of the list of priorities of so many homebuyers. If you have a huge private garage or maybe you have an ample street parking, then you should emphasize this in the description. Talk about your local area – if you live in a beautiful neighborhood or the crime rate in your area is low, then you should put emphasis on this when listing your home property. Include details about the nearest school, malls, groceries, parks, etc. Put emphasis on your extra space – any extra space in your house is truly a big advantage. Make sure to provide enough details about that extra space in your basement, garage, and other storage areas. This is especially important if these areas were not included in the photos you have posted. These are just some examples on how you can put emphasis on the selling points of your property. So get to know your property and your neighborhood well so you will not have a hard time when you sell your home property. Having an open house is a great way to gather potential homebuyers and get their attention. Sure, you can post ads in newspapers and perhaps advertise your property online, but if you really want to reach out to your potential buyers, then you should conduct an open house. According to experts, if you will list your home property online and then hold an open house immediately, then your home can be sold very quickly and even for a higher price. The higher your home property is exposed to the public, the greater the competition will turn out and thus, the greater the price. But how do you prepare for an open house? First off, you should put all of your valuables away. Secondly, have enough real estate agents on site to entertain all of the attendees. Prepare some treats to be given away, such as coffee and some cookies. Put all your personal items away and clean up everything, including your desk. If your house has a second level, then you should have enough people to help out. 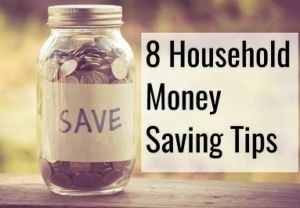 Some other tips are cleaning your desk off, unplugging all electronics and removing all of the paperwork. The reason why open houses are not really that popular among real estate agents is because the process does not necessarily sell the home property itself. However, it does help with the marketing and it’s more beneficial to the buyers instead, who would be able to have a closer look of the home property. Here are more tips on how to successfully sell your home during an open house. Take advantage of technology – using the latest technology to let everyone know about your open house is certainly an advantage. There are now lots of websites that will allow you to advertise open houses for free. Enlist the help of your neighbors – your neighbors are actually some of the most important sales people of your home property. Thus, you need to ask help from them in inviting potential homebuyers to come over to your open house. Your neighborhood people can also help spread the news, either through word or mouth or through their social media accounts. Come up with a neutral environment – if you’ve got anything that can be considered a least bit controversial, perhaps, a stunning photo of yours along with a controversial politician, then you must take it off while the open house is going on. You don’t need to be there – if you’ve got an agent, then there is no reason for you to be there during the open house itself. Grab your pets as well and get them out of the way. This can also help buyers to be able to picture themselves living in your house. We wrote an extensive guide on having an open house that you might find interesting. Marketing your home is much easier if you will target the right kind of customers and that you focus on the correct real estate market. In the home seller’s markets, proper marketing can help to bring in higher prices, and in the buyer’s markets, it could mean a huge difference between expired and sold properties. Proper marketing may not sell your house, however, this can surely help to bring in more inquiries from potential buyers. Remember that if homebuyers will not inquire, then you won’t be able to sell your property. 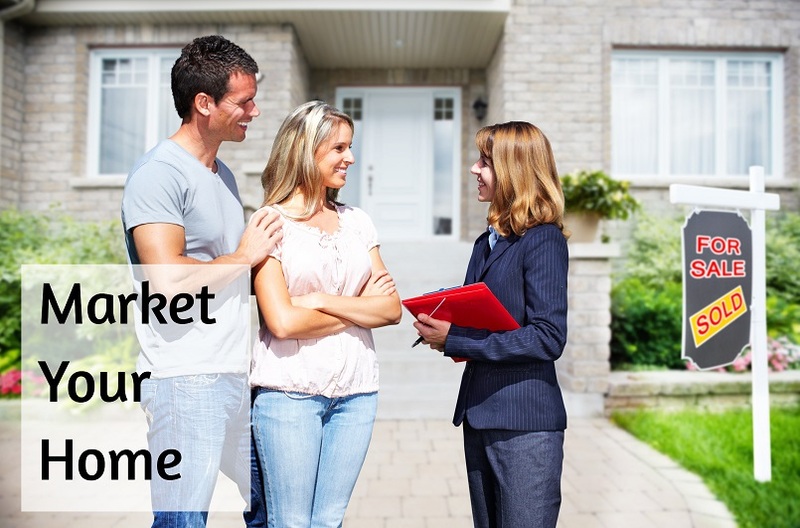 Here are some tips on how you can effectively market when you sell your home. Photograph the front – most buyers will start their search by going online. Thus, having good photos is very important. Listings that do not have a photo or only have an exterior shot are usually being ignored. Buyers are pretty visual. Therefore, you should provide your listings with attractive photos of your property so as to encourage more customers to click. 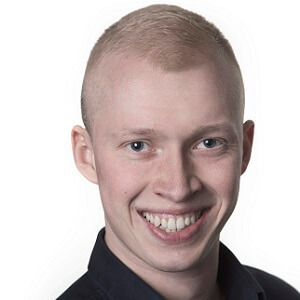 If possible, provide photos that are about ten times better than the photos of your competitors. Exterior photographs – if your house does not have a yard, take pictures of the clubhouse instead, or perhaps the pool in your local village. If there are tennis courts, then include a photo of them instead. If your house has a yard, then homebuyers will surely want to see it. When taking photos of your home exterior, make sure to emphasize the entire space and shoot long. Trim the bushes and mow the lawn. Remove any evidences of pets and put away anything that could obstruct the view. Interior photographs – take a picture of each and every room in your house. Even if you think that the room will not photograph well enough, just shoot it. The photo quality and the result might just surprise you. When taking pictures, make sure that you open your window blinds and drapes. Turn the lights on and put focus on the interesting details in your house, such as the condition of your wooden floor or perhaps a fireplace mantle. To make the room more presentable, consider using floral arrangements in your living room, dining room and kitchen. Virtual tours – virtual tours are not only to showcase those million dollar home properties. Regardless of the value of the home property you are selling, there should be a virtual tour if you want to successfully sell your home. Even if it’s just mere two spins, homebuyers absolutely love viewing properties through virtual tours. An effective virtual tour is one that could easily grab the buyer’s attention, taking him to each and every nook and cranny of your home through a 360 view or a video. Signage – signage helps to easily encourage potential homebuyers to contact your real estate agent immediately. The signage is like free advertising and a well-designed and highly attractive sale sign can certainly generate phone calls. If your house is in a corner lot, then consider putting two signs. Direct mail – another effective means of marketing your home is to make use of direct mail services. You can purchase leads for your mailing lists from certain brokers. If an agent represents you, then inquire about a direct mail program that you can take advantage of. You can perhaps make use of oversized four-color postcards when it comes to sending out mailing ads since they are inexpensive and are very eye catching. Open house – as already mentioned above, having an open house is an effective way to gather homebuyers to check out your property. This is also a very effective marketing scheme because it allows you to closely interact with potential buyers and market your home property in person. Send out e-flyers – technology has helped to make marketing a home property so easy. Through e-flyers, you will be able to reach out to potential customers through email. This will greatly save you a lot of money than having to print out actual flyers that could cost more than $100 to produce, depending on the number of flyers needed. As you see, you will have lots of options when it comes to marketing your home especially in this day and age of the Internet. If you think your home property has been in the market for quite some time, yet, you cannot seem to find a serious buyer, then you may want to consider lowering the price of your property. But do you know exactly when the best time to lower the price of your property is? Your real estate agent actually knows the best time for price reductions, cost adjustments, price improvements, etc. Whatever you call it, no one wants to hear any of these terms, except your potential buyers. In a slow market, it is often too common for home sellers to point fingers at agents and the agents on the other hand, would blame this to the seller’s unrealistic expectation of the price. There are certain things that you can ask yourself before you agree with the price reduction or consider lowering the cost of your home property. What type of marketing campaigns has been launched? Is the signage visible to the public? Does it have your contact number or your agent’s number? How many hits have your listing received? How does your listing show online? Have you included attractive photos of your home? What are the feedback you received from potential buyers and agents? Have you offered enough compensation for your real estate agents? Have you conducted any open houses? How many showings have you had? Your answers to these questions can help you to best decide on whether it is time for a price reduction. If the real estate market is very slow and yet the inventory is high, then clearly, the demand will fall. If this is the situation, then you may want to take your home property off the market. It will not make any sense having to list an overpriced home that is not even receiving any showings in the past since it will just skew the number of the market performance. If you are not too motivated in terms of selling your home property at the moment, then you might as well just rent it out or put it on hold until such time that the real estate market will be able to rebound. If the price of your home property is just too high, then you may need to continuously lower the price until such time that you hit just the right figure. In the world of real estate, this process is like chasing the real estate market down and unfortunately, is a bad thing. By then, your buyers will start to wonder if there’s something wrong with your property and how much lower can you go. As a seller, the last thing you want is to have several price reductions for your home property. If you do not want reducing the price of your property when you sell your home, despite it being in the market for too long and no serious bids were made, then you may want to consider another alternative. Take your property off the market and then list it again but at a new price. An entirely new listing will look exciting and fresh to a homebuyer’s perspective. From time to time, there will be many new buyers who will come into market to look for a property to buy. Not all agents are actually examining the listing’s history. But remember that certain procedures need to be followed when it comes to removing and then re-entering a listing a property listing. We’re not the only ones thinking it might be time for you to lower the price on your home. 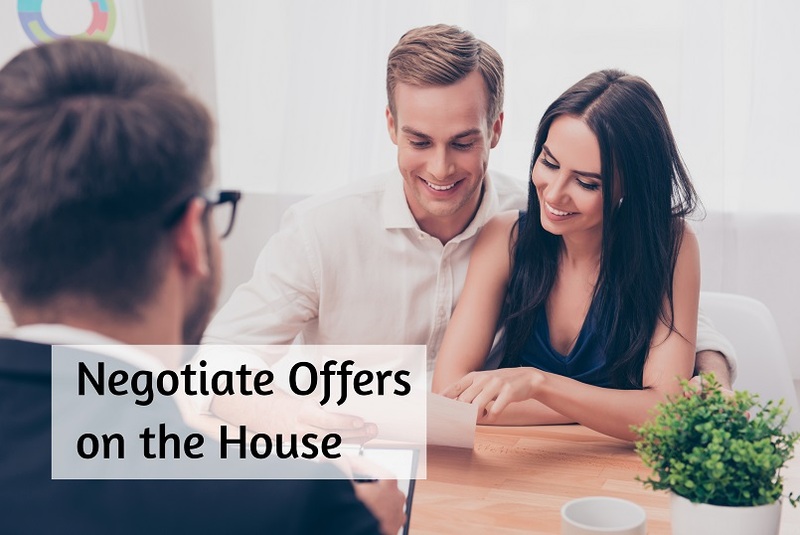 According to real estate experts, some of the biggest mistakes that home sellers and agents make usually happen during the negotiation process. Sometimes, the homebuyer is just too stubborn while the seller will cave in too easily. There are also instances wherein it is the seller that is being stubborn and as a result, loses the buyer during the negotiation process. The negotiation process in selling your home would require some balance. It will also require that you learn to play hardball, while also staying reasonable if things are fair. It is not easy to be a pro when it comes to negotiation. However, here are some tips that can help you. Try to keep the ball in your court – you may be under so many pressures especially if this is your first time to sell a house. In the current economy, it is not always easy selling a home, however, the buyer must not know that. So try to keep the ball to always stay in your court by keeping lots of important details to yourself. This would result in you controlling the overall negotiation structure. For a start, never mention that you have a deadline. If you are a bit behind the mortgage, or perhaps in the process of a divorce or maybe you have plans to move to another place soon, do not ever let the buyer know about this. Learn the art of staying silent – aside from the fact that staying silent will show a level of respect to the buyer, it will also reveal that you have more self control. Having the urge to remain silent is very useful during those times when the buyer is trying to throw so many ridiculous terms and offers along the way. If you stay silent, this will force them to recount their own unjust choices. Work with the bank – a lot of sellers can help to reduce the pressure in selling a house by working with the bank. If you are in the process of selling your home since you are right behind your payment and that you cannot afford to make any current payment, try to negotiate with the bank to give you plenty of time. Establish a bidding war – bidding war is among the most exciting things that could happen to someone trying to sell a home property. 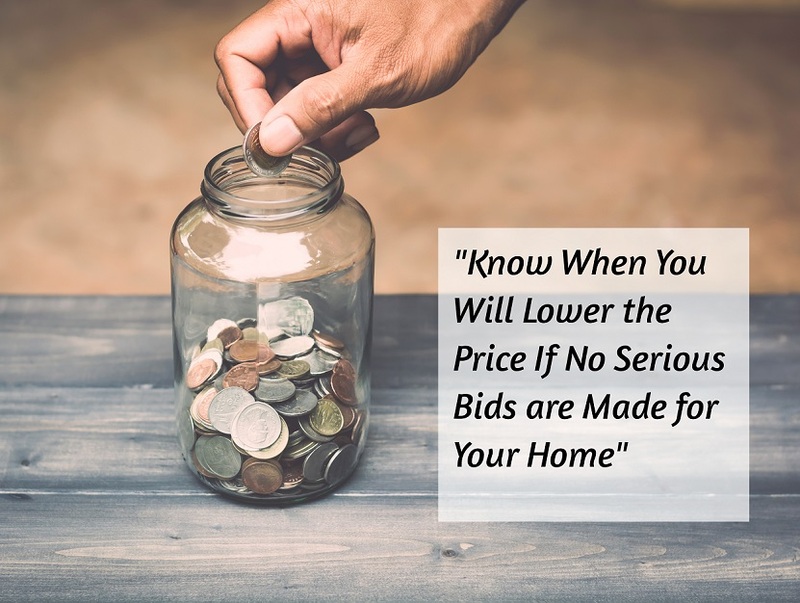 A bidding war simply means that if several parties want your property so badly, then they will work up the price by means of a series of bids, while potentially getting the bid higher than the property’s original selling price. Stay confident – as a general rule, always consider your ego during a negotiation. When selling a house, it may be too easy for someone to get caught up to the potential wealth of selling a property. Stay confident and even if this is your first time, convince the buyer that you know exactly what you are doing. So with these tips in mind, you will surely get a much better outcome in your negotiating process. Check out these 40 tips on negotiating the price of a house. As a seller, closing is actually one of the most awaited parts when you sell your home. This is the time when you will finally transfer your ownership to the buyer, pay for the mortgages and then you will receive your sales proceeds. In fact, this is actually the most awaited part of every negotiation deal. In the world of real estate, closing refers to the time when the buyer and the seller will have to fulfill all the agreements in the sale contract of a house. It is also the time when money and certain documents will be transferred between you and the buyer. 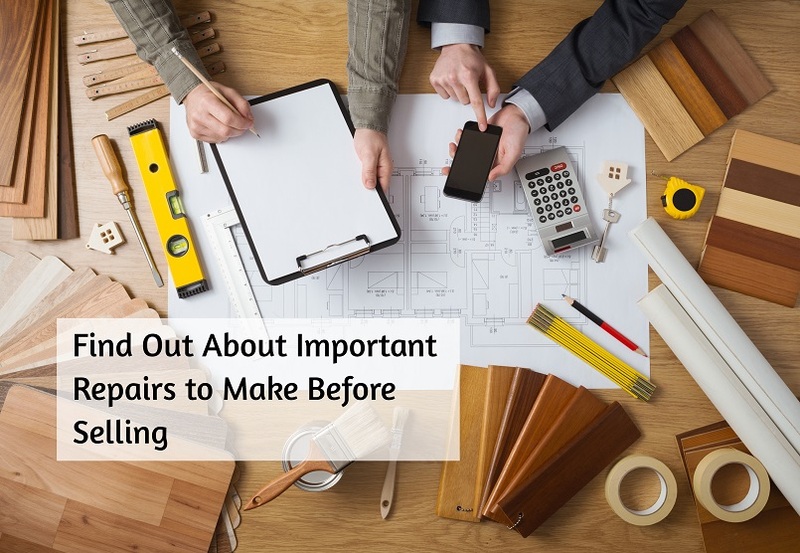 If you made an agreement with the buyer to make any repairs on your property or to take other actions in trying to improve the house, then these must be completed during the closing as well. The only exception is when the buyer has created a separate contract for the agreed work to be done at a much later date. 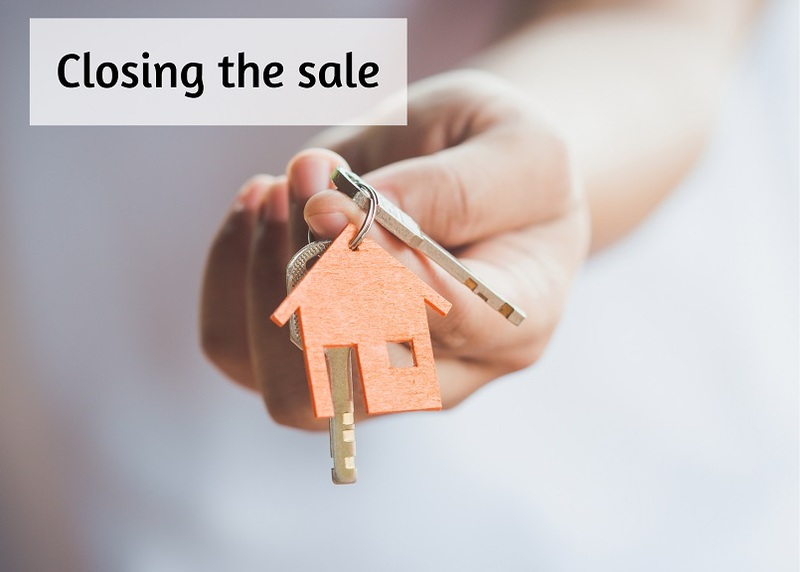 Sometimes, closing is also referred as the settlement since the seller, along with the buyer and the buyer’s lender will be settling up all of the required documents and services for the sale of the house. In order to make the entire closing process secure and for the process to take place simultaneously, a settlement agent might be hired, which is also known as the “escrowee”. Here’s more information on the closing of a home sale. 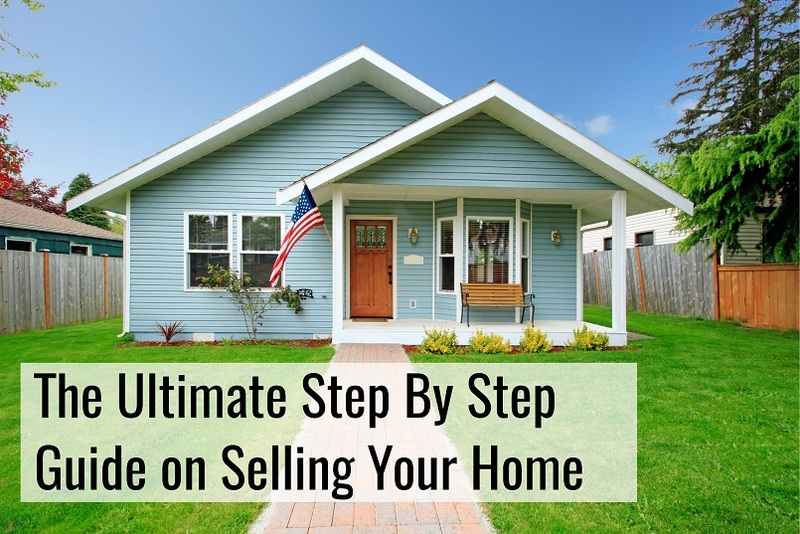 By now, you have probably understood all of the various aspects involved to sell your home. But in order to ensure that you will not have any regrets in this kind of endeavor, here are some mistakes that you should try to avoid. Getting involved emotionally – as soon as you’ve decided to sell your property, it might be helpful to start considering yourself as the seller who is trying to make business, instead of the homeowner. If you look at the transaction in a financial perspective and not get too emotional at the thought of giving up your much loved home, then you will be able to distance yourself from the emotional aspects that could actually affect the entire negotiation deal. Not hiring a real estate agent – you will end up putting yourself in serious trouble if you will avoid hiring an agent especially if this is the first time you are selling your home. A well-experienced agent can help you in all aspects involved. More importantly, your agent can assist you in setting a competitive price that can help the likelihood of a quick sale. Setting unrealistic price – whether you are dealing with an agent or you are doing it alone, setting the right price for your property is very important. Just remember that comparative analysis that you have done when you first bought a home. Use that to figure out the fair selling price of your property. Your agent should be able to help do this for you. Not including photos on your listing – most buyers will search online when buying a home property. This is the norm these days wherein almost everyone relies on the Internet. And since people are visual, you must make sure to include attractive photos in your listing to help direct potential buyers into your home property. As mentioned above, taking good photos of all aspects in your house, including the interior and the exterior, can surely help you in making a quick sale of your home property. Before you get started, refer to the list above so you can avoid some of the mistakes that a lot of sellers tend to make these days. Whether you are selling your house by yourself or you hired an agent to do it for you, it is best to be mentally and financially prepared for some unexpected scenarios. Although it is always a wise idea to hire a real estate agent when you sell your home, especially if this is your first time, selling your home without an agent is still possible. 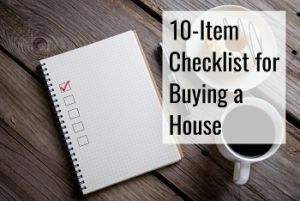 But in doing so, you need to make sure that you have enough time to show your home and that you are confident enough with the negotiating process. Remember that whether you hire an agent or not, there will always be challenges that you will encounter in selling your house and you have to prepare yourself for these. Another important tip is to make sure that you price your property correctly. Right pricing can lead you to the right customers and eventually sell your home successfully. There are online appraisal services that can help you on this. You can also refer to newspaper ads or online listings of home properties for sale so you will have a guide on the right pricing of your property. You can also take advantage of the various online tools and services in advertising your home property. These services will charge a minimal fee and will provide you with disclosure and contract forms. You will also be provided with sale documents, flyers, educational materials and booklets and seminars that can help you in selling your property. Finally, the most important tip when you sell your home by yourself is to research and learn. In this day and age of the Internet, you can pretty much find everything about selling a home property online so use these resources to learn and gather tips. From advertising your home to marketing it and conducting open houses, you sure will find a lot of tips regarding these things online. This will require a lot of your time, but doing so is really worth it. Equipping yourself with the right knowledge, especially if you’re not getting the assistance of any real estate agent. Now that you know the step by step process of selling your home, all there is left to do is to wish you good luck!